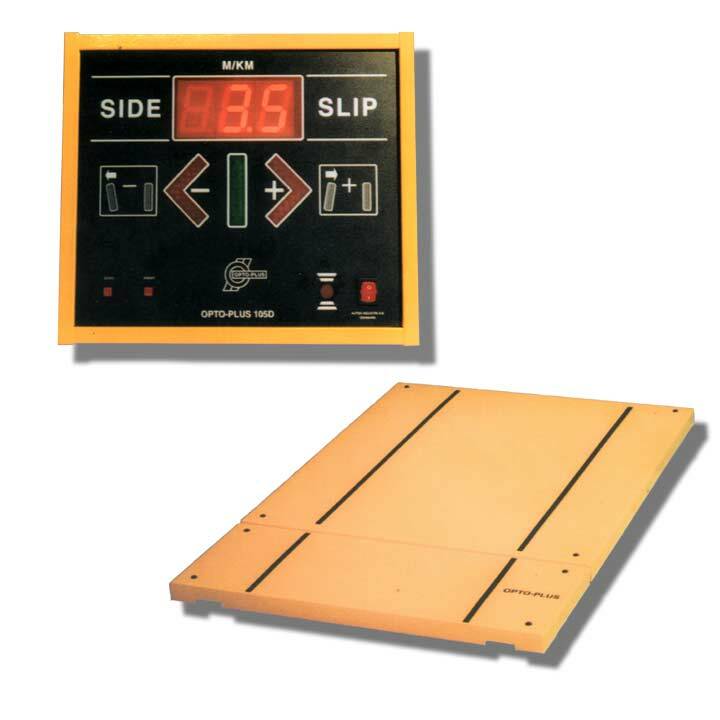 The side slip tester controls the alignment of front and rear wheels. The test is done in a matter of seconds, as the vehicle rolls over the Side-Slip Plate. The Equalizer Plate neutralizes the transversal forces from the tyre, before the side slip is measured. Misaligned wheels will cause the Side-Slip Plate to move sideways. The measurement for side-slip is given meter per Km (m/Km), which is the off-set in meters of the wheel pair from the correct driving direction after rolling 1Km. Green indicator lamp for OK and red indicator lamp when limits are exceeded. Limits can be preset from 1-15m/km. A time delay keeps the indicator lamps in operation some seconds after the car has left the tread plate. The delay can be preset. The installation can be done directly on the floor with ramps or flush with the floor. Optional print out on a 60mm print mounted in the cabinet or on external A4 printer. Printout with customer heading, date and time, measured values and diagnostics.